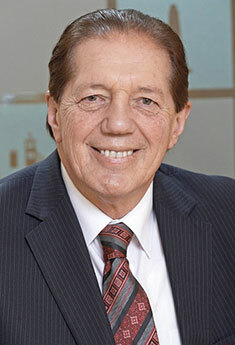 Hello, Mayor Tim Shadbolt here! As a passionate supporter of sister cities, I invite you to come and join us in Invercargill for the 2017 Sister Cities New Zealand annual conference. We promise you a unique three-day experience, where you will enjoy our famous warm Southern hospitality, succulent local food and the fantastic scenery and attractions right on our doorstep. The theme of the conference is Communication Overcoming Distance and we’ve put together an exciting programme of high-quality local, national and international guest speakers. I’m looking forward to hosting you at the mayoral welcome drinks function and dinner amidst the grandeur and elegance of our Edwardian Civic Theatre; and then taking delegates out and about to a variety of locations with guest speakers as we explore the theme of Communication Overcoming Distance. We’ll be visiting the iconic signpost at Stirling Point in Bluff, where delegates will also enjoy freshly caught seafood and Bluff oysters. The Sister City Awards night will be held at the fabulous, new Richardson’s Transport World – where delegates will have the opportunity to explore the world-class exhibition before enjoying the gala dinner. Delegates will finish the conference with a special coach tour to enjoy the scenery of Southland province – either with an excursion and cruise to the Glow Worm Caves in Te Anau, or to explore the seaside-village of Riverton. Register online now at https://icc.govt.nz/sister-cities-conference-2017/registration-form/ or for more information email our Conference Organisers at invercargill.2017@icc.govt.nz. I look forward to hosting you in May 2017.